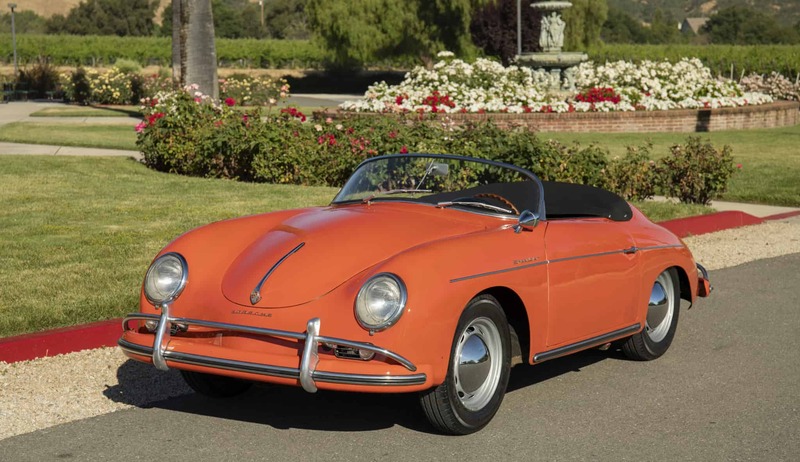 “Garage find” 1958 Porsche 356A 1600 Speedster: One owner since 1972; solid factory-original floors; original interior; low miles. Stored in a garage in Tapanga Canyon, CA, not driven in over 40 years. Fitted with genuine 1961 Carrera four-wheel disk brakes (ultra-rare and quite valuable). We installed new German carpet; a new soft top; new clutch; new exhaust; new tires. This car was raced in Southern California during the 1960’s, it includes a rare set of vintage torque thruster wheels. Paint is over 40 years old, still shows well. Original color is Silver Metallic, per the COA. Still retains it’s original transmission, engine is a 1961 Super. Runs and drives well. We go to extents to document our cars in pictures and provide the most transparent listings on Ebay. Please study the pictures carefully rather than requesting descriptions. Please complete any inspections or ask any questions prior to bidding or committing to buy the car. Thanks for the interest!